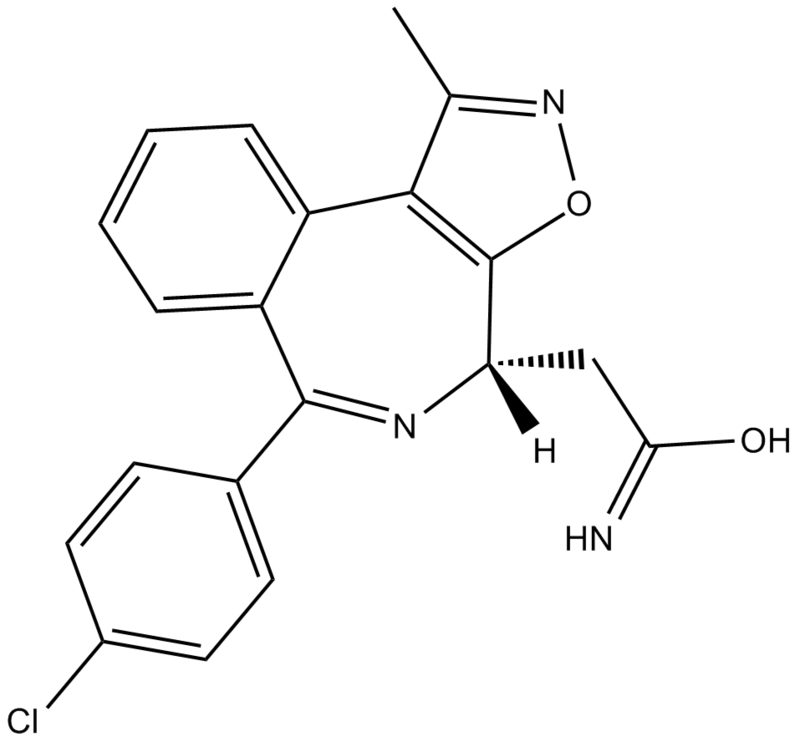 The solubility of this compound in DMSO is >18.3mg/mL. General tips for obtaining a higher concentration: Please warm the tube at 37℃ for 10 minutes and/or shake it in the ultrasonic bath for a while. Stock solution can be stored below -20℃ for several months. 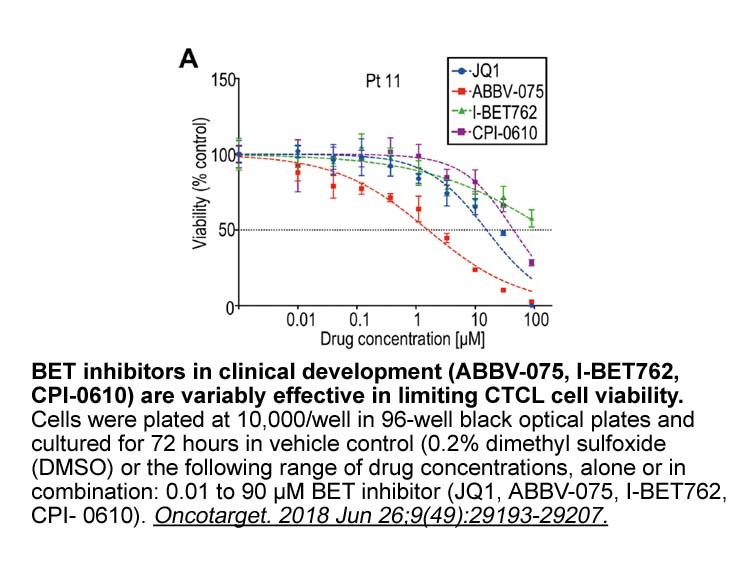 CPI-0610 treatment resulted in 40% decrease in viability in primary cells isolated from a newly diagnosed patient and caused 50% cell death in primary cells isolated from a relapsed disease patient. Mice treated with CPI-0610 showed a significant delay in tumor growth, and the median overall survival of CPI-0610 treated animals was significantly prolonged. BET (bromodomain and extra-terminal) proteins regulate gene expression through their ability to bind to acetylated chromatin and subsequently activate RNA PolII-driven transcriptional elongation. The bromodomain (BRD) and extra-C terminal domain (BET) protein family consists of four members (BRD2, BRD3, BRD4 and BRDT).Small molecule BET inhibitors prevent binding of BET proteins to acetylated histones and inhibit transcriptional activation of BET target genes. BET inhibitors attenuate cell growth and survival in several hematologic cancer models, partially through the down-regulation of the critical oncogene, MYC. BET bromodomain inhibitor is a potent and selective inhibitor for BRD4. In vitro: The most potent systhsized ompound presented is BET bromodomain inhibitor, which shows activity with IC50 < 500 nM against BRD4 . In vivo: BET bromodomain inhibitor shows activity in vivo at < 10 mg/kg against BRD4 in rat . Clinical trial: Up to now, BET bromodomain inhibitor is still in the preclinical development stage.